Flash cards offer an easy way to drill word families. 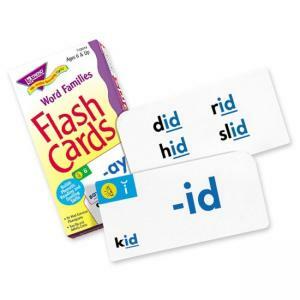 Durable, sturdy cards feature sound-it-out cues to help build phonetic, reading, and spelling skills. Ideal for home, school, and travel. Flash cards are ideal for first through third-grade (ages 6 to 8).